You know the old game: If you could have dinner with three people from history, whom would you choose? 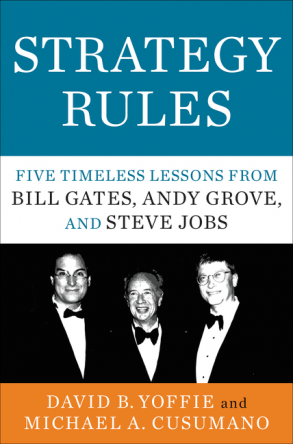 We won’t cover all the options, but you’ll agree, you could do a lot worse than Bill Gates, Steve Jobs and Andy Grove. These technology CEO icons just may have more influence on how we live our lives – how we work, communicate, think, exercise, shop, read, listen to music and even put our kids to bed – than any group you could name (ok, let’s hold the Beatles aside). Of course, getting these three together was nearly impossible even when they were all alive. But don’t worry, because two leading business school professors, researchers and thinkers have done the next best thing.